It started with a visit to my friends house for the normal activity of watching hockey and sampling my latest homebrew. A tree had fallen across a neighbors fence and I was the extra body required to retrieve the tree back onto the property. Upon inspecting the base of the tree where the break had occurred, something wasn’t right. The tree broke cleanly…extremely cleanly. Have you ever dropped a glass bottle and had the resulting shatter left the bottom almost perfectly intact? That was similar to the manner in which this tree fell. 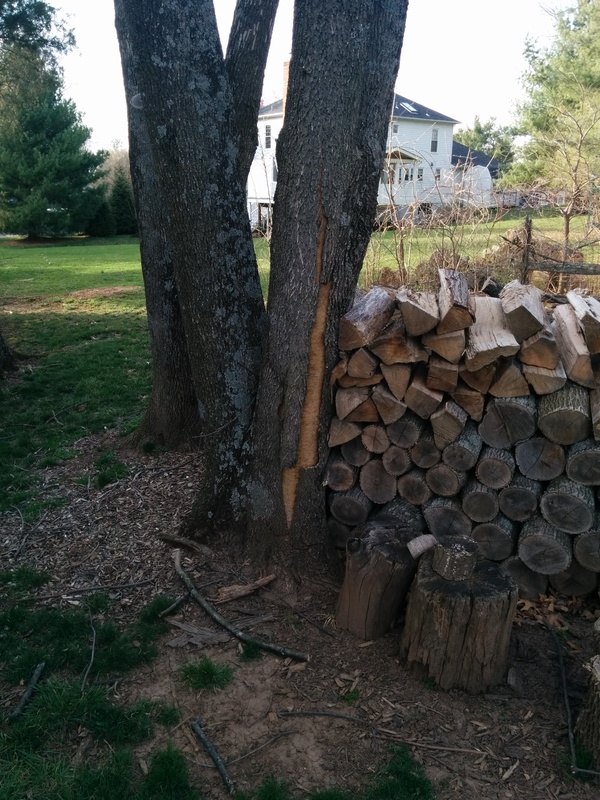 If there hadn’t been some chunks irregularly distributed across the break, it could have passed for a sawn tree. 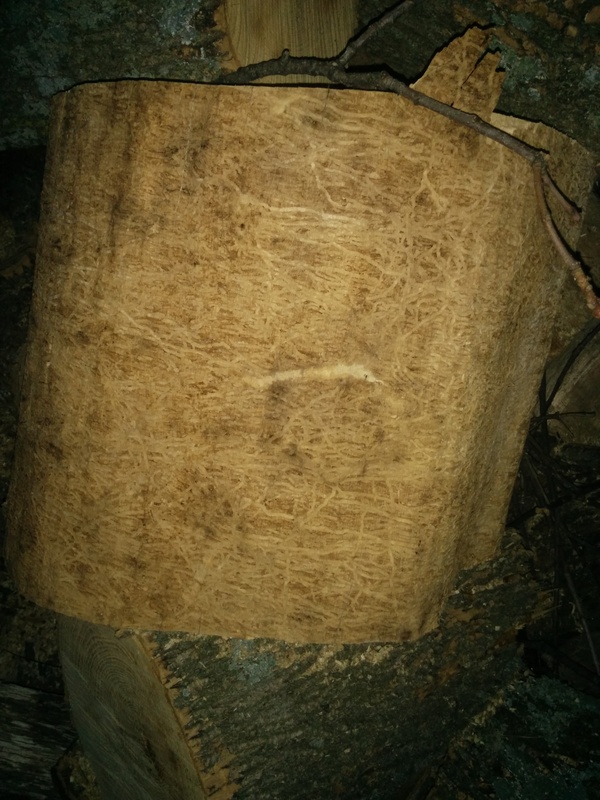 It was a young but mature white ash tree with a Diameter at Breast Height (DBH) of about 4”. Alarmingly in the tiny sliver of forest that had thus far survived urban sprawl, nearly the entire canopy was also white ash. As were two large trees right next to the house. 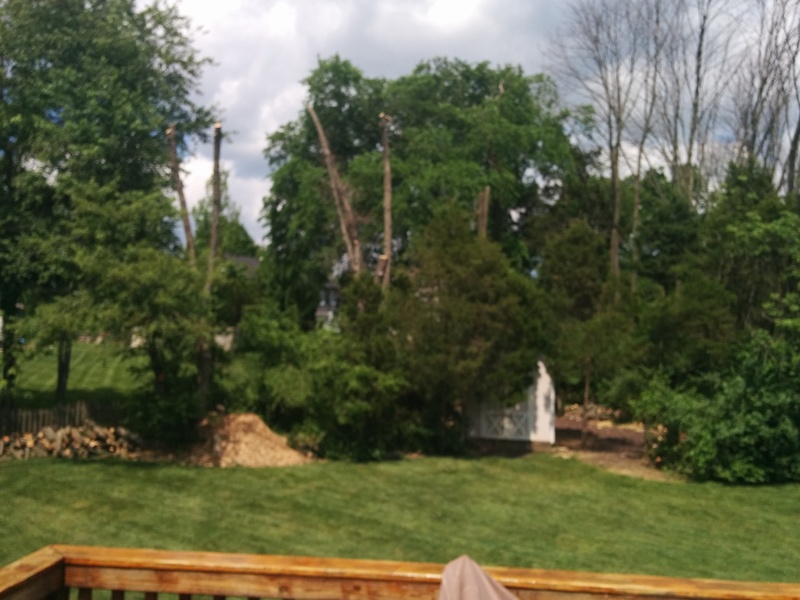 An arborist came, confirmed the suspicion and immediately took down the tree before its now extremely brittle structural wood had a chance to fall onto the house. They are also in the process of cutting down the entire forest. 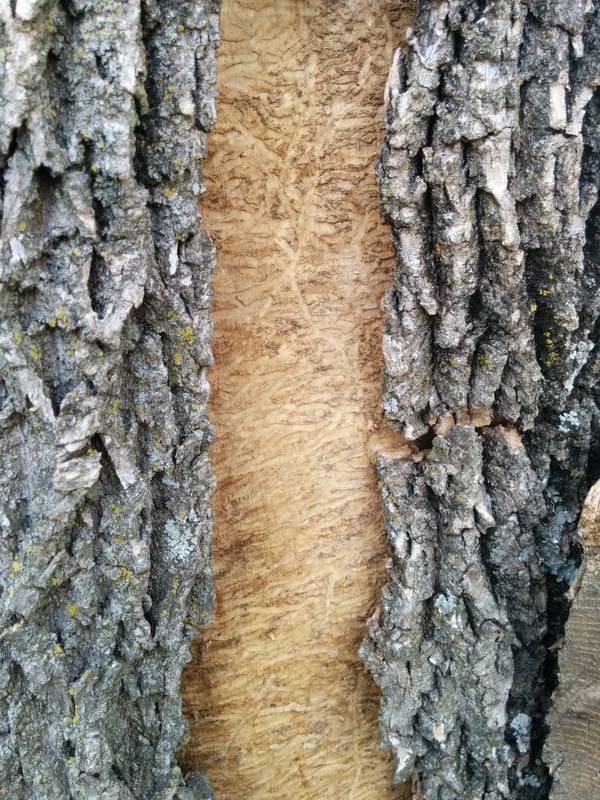 Now that this destructive pest is within 100 miles of my farm, the need to formulate a plan to protect the forests and pasture that is primarily white ash. Stay tuned for that plan! On the plus side, ash is great firewood. But those borers are a nasty lot.